George Mueller: Convictions and Teachings tells us what the Bible says about trusting God. Faith occupied the central theme in Mueller's understanding of Scripture. 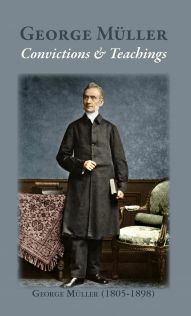 These sections from his writings give this great Christian's views on faith, stewardship, principles for ministry, meditation, and knowing the will of God. The Church today needs this return to great faith, which is at once both biblical and bathed in humble dependence. These selections were gleaned from Mueller's writings by HeartCry Missionary Society, and have been used of the Lord to shape the ministries of both it and Chapel Library.